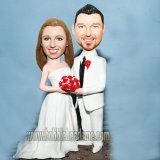 Wearing a white long wedding dress and dark blue high heel shoes, holding hands with a dancing pose with groom. 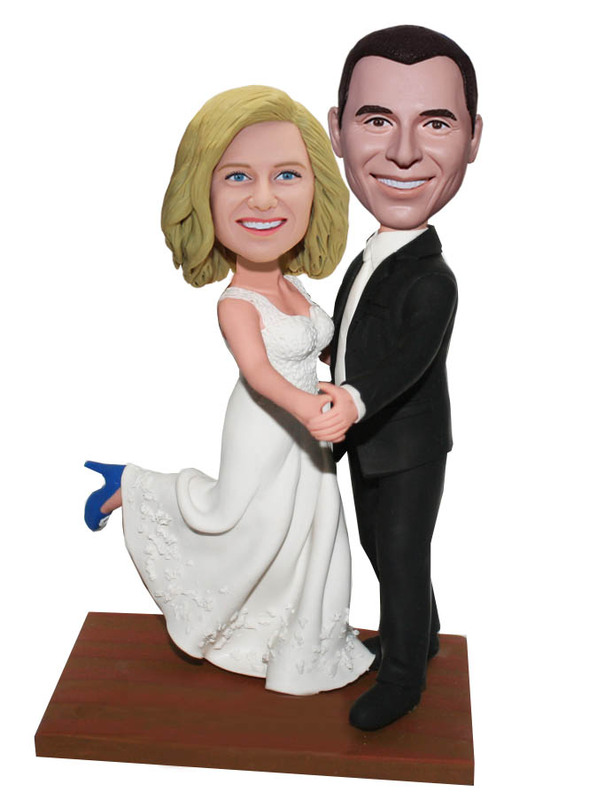 This customized couple bobbleheads is a happy newlywed. 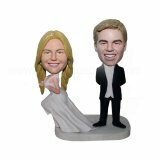 This custom made bobblehead will definitely a unique artwork to decorate a wedding cake. 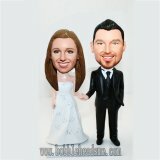 We will make the small figurines bobbling happily for their joyful wedding ceremony.